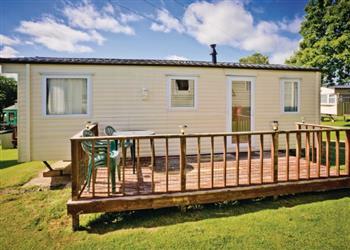 Andrewshayes Holiday Park in sleeps between 2 and 7 people, with the accommodation being caravans. Overlooking East Devon’s spectacular Corry Valley, just 6 miles from the world-renowned Jurassic Coast, this friendly park offers a perfectly located base for relaxing and exploring all the delights of the glorious West Country. The covered, heated swimming pool and welcoming family bar are at hand, while nearby Axminster, Lyme Regis and a wealth of picturesque villages and seaside resorts await discovery. If you want to find out what other people have said about Andrewshayes Holiday Park, read the reviews on Andrewshayes Holiday Park for more information. And, for those last minute bargains, have a look at some of the special offers available at Andrewshayes Holiday Park. 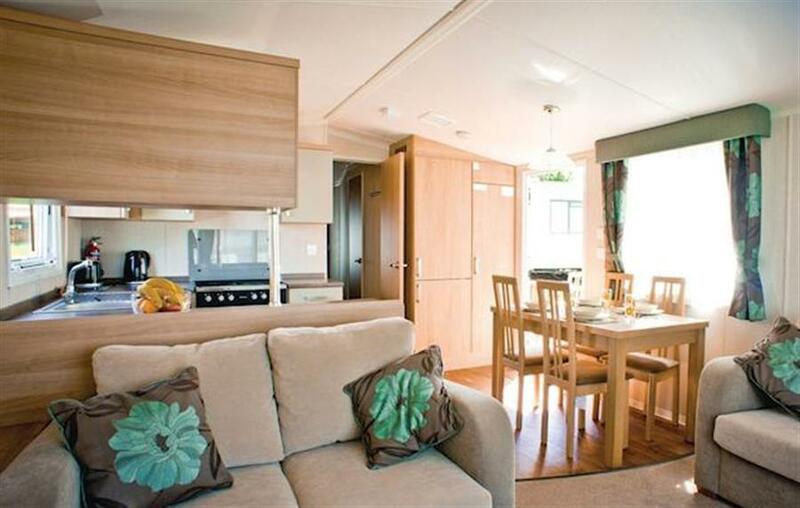 Luxury 12ft–wide caravan with one double. Centrally heated. No pets. 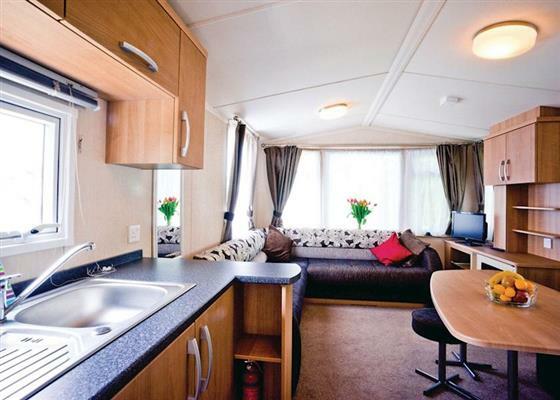 Spacious and luxurious 12ft-wide caravan with one double and one twin. Well equipped galley kitchen with open plan lounge/dining area. Double glazed and centrally heated. Decking. No pets. Spacious and luxurious 12ft-wide caravan with one double and one twin. Well equipped galley kitchen with open plan lounge/dining area. Double glazed and centrally heated. Decking with outdoor hot tub. No pets. Brand new for 2013. Comfortable caravan with one double and one twin. Luxury 12ft–wide caravan with one double and one twin. No pets. 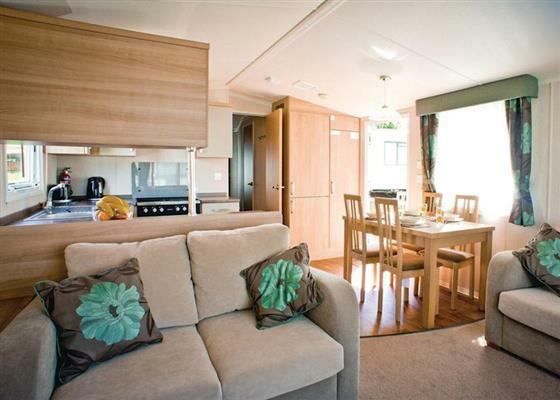 Luxury 12ft-wide caravan with one double with ensuite bath with overhead shower and one twin. Shower. Double glazed and centrally heated. Complimentary bottle of wine on arrival. No pets. Standard caravan with one double and one twin. Heating throughout. Luxury 12ft-wide caravan with one double and one twin. Double glazed and centrally heated. 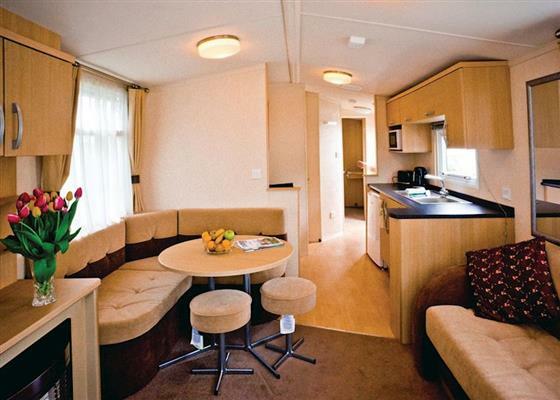 Spacious and luxurious 12ft-wide caravan with one double and two twin. Well equipped galley kitchen with open plan lounge/dining area. Double glazed and centrally heated. Decking. No pets. 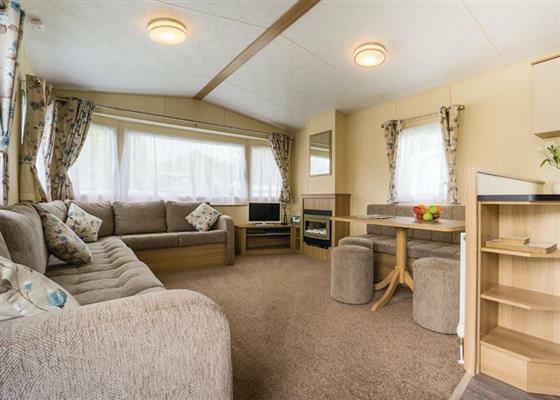 Spacious and luxurious 12ft-wide caravan with one double and two twin. Well equipped galley kitchen with open plan lounge/dining area. Double glazed and centrally heated. Decking with outdoor hot tub. No pets. Brand new for 2013. Comfortable caravan with one double and two twin. Spacious 12ft-wide caravan with one double and two twin. Open plan kitchen/dining area. Heated throughout. Decking with outdoor hot tub. No pets. Spacious 12ft-wide caravan with one double and two twin. Heated throughout. Find out about Andrewshayes Holiday Park, including prices and availability. There aren't currently any special offers at Andrewshayes Holiday Park however, the special offers shown below are all on parks within 30 miles of Andrewshayes Holiday Park - so you may find these useful. Holiday at Sunset in Devon starting on Saturday 27 April 2019 for 7 nights. Holiday at Blue Reef in Devon starting on Saturday 27 April 2019 for 7 nights. Holiday at Sunrise in Devon starting on Saturday 27 April 2019 for 7 nights. Holiday at Silver Reef in Devon starting on Saturday 27 April 2019 for 7 nights. Holiday at Coleridge 1 in Devon starting on Saturday 27 April 2019 for 7 nights. Holiday at Marple Lodge in Devon starting on Saturday 27 April 2019 for 7 nights. Holiday at Blackmore in Devon starting on Saturday 27 April 2019 for 7 nights. Holiday at Devon Cliffs Deluxe 3 (Pet) (Sat) in Devon starting on Saturday 27 April 2019 for 7 nights. Holiday at Platinum Caravan Four Plus VIP (Pet) in Devon starting on Saturday 27 April 2019 for 7 nights. Holiday at Platinum Caravan Four Plus VIP in Devon starting on Saturday 27 April 2019 for 7 nights. Holiday at Platinum Caravan Six Plus VIP in Devon starting on Saturday 27 April 2019 for 7 nights. Holiday at Bray 2 in Devon starting on Saturday 27 April 2019 for 7 nights. Holiday at Exe 2 in Devon starting on Saturday 27 April 2019 for 7 nights. Holiday at Exe 3 in Devon starting on Saturday 27 April 2019 for 7 nights. 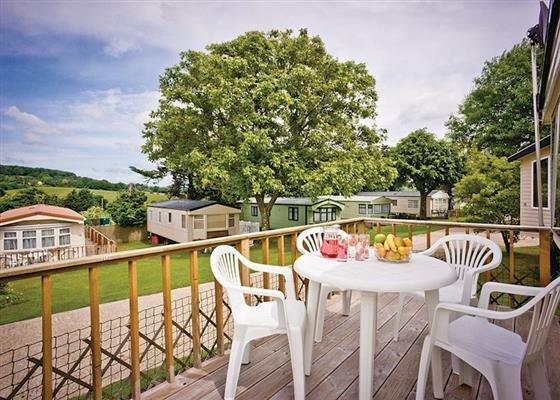 Holiday at Sid 2 (A1) (Pet) in Devon starting on Saturday 27 April 2019 for 7 nights. Holiday at Seahorse in Dorset starting on Saturday 27 April 2019 for 7 nights. Holiday at Hake in Dorset starting on Saturday 27 April 2019 for 7 nights. 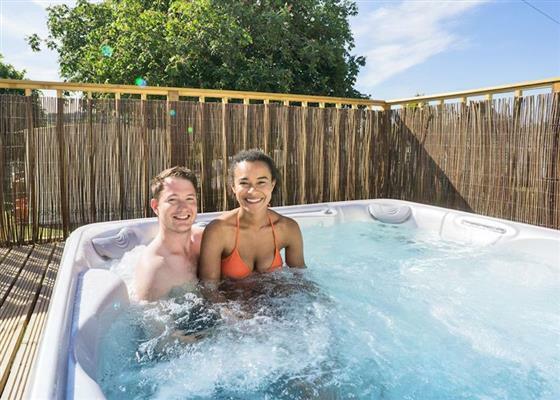 Holiday at Sunstar in Dorset starting on Saturday 27 April 2019 for 7 nights. Holiday at Dorset Sapphire Lodge in Dorset starting on Saturday 27 April 2019 for 7 nights. Holiday at Exmoor Gate Lodge in Somerset starting on Saturday 27 April 2019 for 7 nights. Holiday at Kingsford Lodge in Devon starting on Saturday 27 April 2019 for 7 nights. Holiday at Platinum Caravan Four (Pet) in Devon starting on Saturday 04 May 2019 for 7 nights. Holiday at Country Holiday Home Six in Devon starting on Saturday 04 May 2019 for 7 nights. Holiday at Country Holiday Home Four Platinum in Devon starting on Saturday 04 May 2019 for 7 nights. Holiday at Country Lodge Four in Devon starting on Saturday 04 May 2019 for 7 nights. Holiday at Marple Lodge in Devon starting on Saturday 04 May 2019 for 7 nights. Holiday at Dorset Sapphire Lodge in Dorset starting on Saturday 04 May 2019 for 7 nights. 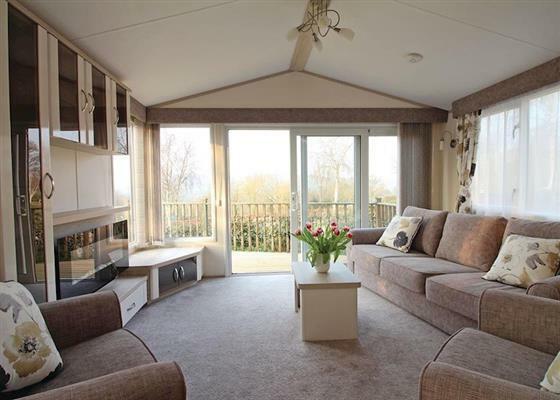 Holiday at Platinum Caravan Four Plus VIP (Pet) in Devon starting on Saturday 04 May 2019 for 7 nights. Holiday at Orca in Dorset starting on Saturday 04 May 2019 for 7 nights. Holiday at Meadow View in Devon starting on Saturday 04 May 2019 for 7 nights. Holiday at The Retreat in Devon starting on Saturday 04 May 2019 for 7 nights. Holiday at The Beach House in Devon starting on Saturday 04 May 2019 for 7 nights. Holiday at Kingsford Lodge in Devon starting on Saturday 04 May 2019 for 7 nights. Holiday at Opal in Dorset starting on Saturday 11 May 2019 for 7 nights. Holiday at Topaz in Dorset starting on Saturday 11 May 2019 for 7 nights. Holiday at Tavy in Devon starting on Saturday 11 May 2019 for 7 nights. Holiday at Oakley in Devon starting on Saturday 11 May 2019 for 7 nights. Holiday at Burgundy in Devon starting on Saturday 11 May 2019 for 7 nights. Holiday at Bovey in Devon starting on Saturday 11 May 2019 for 7 nights. Holiday at Hornbeam Lodge in Devon starting on Saturday 11 May 2019 for 7 nights. Holiday at Ladys Mile Pet Friendly Lodge 1 in Devon starting on Saturday 11 May 2019 for 7 nights. There are 71 holiday parks within 10 miles of Andrewshayes Holiday Park. The Barn by The Lake in Brompton Regis, Somerset, and sleeps 5 people. 26 miles. Clarence Grey House in Torquay, Devon, and sleeps 8 people. 29 miles. Witham Cottage in Barnstaple, Devon. 45 miles. The Coach House in Dulverton, Somerset. 26 miles. Lilac Place in Colyton, Devon, and sleeps 6 people. 3 miles. Mannings Mead in Bath, Avon, and sleeps 9 people. 48 miles. Lake House in Torrington, Devon. 48 miles. Quince Cottage in Langton Matravers, Dorset, and sleeps 2 people. 48 miles. Pear Tree Cottage in Bishops Nympton, Devon. 34 miles. Broadmead House in Beaminster, Dorset, and sleeps 14 people. 12 miles. Victoria Lodge in Lynton, Devon, and sleeps 12 people. 45 miles. The Toll House in Minehead, Somerset, and sleeps 4 people. 32 miles. The Retreat in Harbertonford, Devon, and sleeps 6 people. 39 miles. Longbridge Cottage in Shepton Mallet, Somerset, and sleeps 2 people. 36 miles. Weavers Corner in Evercreech, Somerset, and sleeps 5 people. 35 miles. Hillview in Bridport, Dorset, and sleeps 4 people. 15 miles. Tor View in Glastonbury, Somerset, and sleeps 5 people. 28 miles. Meadow Wood in Bishops Lydeard, Somerset, and sleeps 12 people. 21 miles. Coastguard Cottage in Wareham, Dorset, and sleeps 7 people. 38 miles. Newcourt Barn in Exeter, Devon, and sleeps 5 people. 18 miles. Culbone Parsonage in Porlock, Somerset, and sleeps 6 people. 40 miles. Molly's Cottage in Torquay, Devon, and sleeps 6 people. 29 miles. Ridgefield House in Longdown, Devon, and sleeps 8 people. 24 miles. Canute Cottage in Portland, Dorset, and sleeps 5 people. 31 miles. Wallflower Cottage in South Petherton, Somerset. 16 miles. Rock Cottage in Barnstaple, Devon, and sleeps 8 people. 48 miles. Anchor Cottage in Weymouth, Dorset. 30 miles. Sandy Bottom Cottage in Brixham, Devon, and sleeps 6 people. 33 miles. Purcombe Farmhouse in Bridport, Dorset, and sleeps 12 people. 11 miles. Woolhanger Farmhouse in Barnstaple, Devon, and sleeps 12 people. 45 miles. Little Owl Barn in Wellington, Somerset, and sleeps 4 people. 16 miles. Bridge Cottage in Paignton, Devon, and sleeps 5 people. 34 miles. 17th Century Castle in Clevedon, Somerset, and sleeps 16 people. 47 miles. Filleigh End in Chudleigh, Devon, and sleeps 6 people. 26 miles. Christmas Cottage in Chulmleigh, Devon, and sleeps 6 people. 41 miles. Kirby in Minehead, Somerset. 37 miles. Smokeacre Farm Cottage in Yeovil, Somerset, and sleeps 2 people. 22 miles. The Bakehouse in Bridport, Dorset, and sleeps 4 people. 11 miles. Coltscombe Court in Slapton, Devon, and sleeps 8 people. 43 miles. Boxtree Barn in East Allington, Devon, and sleeps 4 people. 44 miles. Swinnerton in Bantham, Devon, and sleeps 8 people. 49 miles. Old Traine Barn in Modbury, Devon, and sleeps 10 people. 47 miles. Corner Cottage in Chagford, Devon, and sleeps 6 people. 33 miles. Sexeys Farm Stable in Wareham, Dorset, and sleeps 6 people. 38 miles. Colts Close Stables in Wool, Dorset, and sleeps 4 people. 37 miles. Leam House in Portland, Dorset, and sleeps 8 people. 33 miles. The Old Bakehouse in Dittisham, Devon, and sleeps 8 people. 36 miles. Oaklands in Lynmouth, Devon, and sleeps 12 people. 43 miles. Colts Close Cottage in Wool, Dorset, and sleeps 8 people. 37 miles. Five Bells in Axminster, Devon, and sleeps 5 people. 5 miles. Higher Hill Barn in Kingsbridge, Devon, and sleeps 10 people. 45 miles. Steamer Quay Cottage in Paignton, Devon, and sleeps 10 people. 33 miles. Coombe Park in Chillington, Devon, and sleeps 10 people. 45 miles. Seagers Cottage in Wareham, Dorset, and sleeps 8 people. 46 miles. Bow Bridge Cottage in Ilminster, Somerset, and sleeps 4 people. 12 miles. Spinnaker Cottage in Salcombe, Devon. 49 miles. Barrowswood Lodge in Cheddar, Somerset, and sleeps 8 people. 36 miles. Bridge Park Cottage in Kingsbridge, Devon, and sleeps 10 people. 46 miles. Higher Westcott Farm in Moretonhampstead, Devon, and sleeps 12 people. 29 miles. The Stumbles in Salcombe, Devon, and sleeps 11 people. 49 miles. Ananda in Salcombe, Devon, and sleeps 8 people. 49 miles. Little Barn in Kingsbridge, Devon. 49 miles. Dunley Farmhouse in Newton Abbot, Devon, and sleeps 11 people. 28 miles. Rill House in Slapton, Devon, and sleeps 8 people. 43 miles. Woodmans Stoup in Colyton, Devon, and sleeps 10 people. 4 miles. Bottor Rock Lodge in Bovey Tracey, Devon, and sleeps 10 people. 29 miles. Durdle Door Holiday Cottages in West Lulworth, Dorset. 37 miles. Overcombe in Salcombe, Devon, and sleeps 14 people. 49 miles. The Victorian Barn and Dairy House Farm Cottages in Blandford Forum, Dorset. 33 miles. The Dower House in Charmouth, Dorset, and sleeps 18 people. 7 miles. Boshill House in Lyme Regis, Dorset, and sleeps 14 people. 4 miles. Collacott Farm Cottages in South Molton, Devon. 37 miles. Middle Rock in Brixham, Devon, and sleeps 8 people. 33 miles. Peppers Lodge in Cheddar, Somerset, and sleeps 4 people. 36 miles. Pennsylvania Castle in Portland, Dorset, and sleeps 20 people. 33 miles. Lymelight in Lyme Regis, Dorset, and sleeps 8 people. 7 miles. Middle Silver in Dartmouth, Devon, and sleeps 4 people. 37 miles. Thorn Cottage in Chagford, Devon, and sleeps 6 people. 36 miles. Harbourside Cottage in Minehead, Somerset, and sleeps 8 people. 30 miles. WhileAway Lodge in Cheddar, Somerset, and sleeps 4 people. 36 miles. Southgate in Barnstaple, Devon, and sleeps 14 people. 47 miles. Quakers in Membury, Devon, and sleeps 4 people. 3 miles. Higher Brownstone Farmhouse in Kingswear, Devon, and sleeps 12 people. 37 miles. The Wookey House in Wells, Somerset. 35 miles. Munty Cottage in Taunton, Somerset, and sleeps 4 people. 9 miles. Forest Perch House in Lynmouth, Devon, and sleeps 22 people. 45 miles. Dippers Folly at Jeffries Mill Cottages in Frome, Somerset, and sleeps 4 people. 45 miles. North End Farm House in Bridport, Dorset. 11 miles. Sunnyside in East Prawle, Devon, and sleeps 10 people. 48 miles. Higher Venice in Allaleigh, Devon, and sleeps 12 people. 39 miles. Batson House in Salcombe, Devon. 49 miles. Manor Farm in Torquay, Devon, and sleeps 10 people. 29 miles. Puckhams in Stoke Abbott, Dorset. 13 miles. The Old House in Exeter, Devon, and sleeps 14 people. 26 miles. The Gate House in Wimborne Minster, Dorset, and sleeps 14 people. 47 miles. Shingle House in Torcross, Devon, and sleeps 8 people. 44 miles. Amberstone Manor in Chulmleigh, Devon, and sleeps 24 people. 36 miles. Cullaford Cottage in Combe, Devon, and sleeps 4 people. 38 miles. Candlelight Cottage in Littlehempston, Totnes, and sleeps 10 people. 35 miles. The Linhay at East Dunster Deer Farm in Tiverton, Devon, and sleeps 12 people. 22 miles. Heatherdale in Salcombe, Devon, and sleeps 10 people. 49 miles. Horsecombe Dairy in Horsecombe, Salcombe, and sleeps 16 people. 49 miles. Barwick in Okehampton, Devon, and sleeps 12 people. 40 miles. Wild Goose Barn & The Creamery in Kingston, Devon, and sleeps 12 people. 49 miles. Fossilers Lodge in Lyme Regis, Dorset, and sleeps 8 people. 7 miles. Lower Easton Farmhouse in Salcombe, Devon, and sleeps 10 people. 47 miles. Drewstone Farm Cottages in South Molton, Devon, and sleeps 6 people. 36 miles. Bucks Cottage in Glastonbury, Somerset, and sleeps 12 people. 30 miles. The Cider Press in Stoke Gabriel, Devon, and sleeps 8 people. 35 miles. The Piglet in Sidbury, Devon, and sleeps 2 people. 8 miles. The Old Reading Room in Langton Herring, Dorset, and sleeps 5 people. 25 miles. Advantage Point in West Lulworth, Dorset, and sleeps 10 people. 37 miles. Commodores Penthouse Suite in Portland, Dorset, and sleeps 8 people. 31 miles. Castle Hill House in Sidbury, Devon, and sleeps 12 people. 8 miles. Willey Barn in Okehampton, Devon, and sleeps 6 people. 38 miles. Huxham View in Exeter, Devon, and sleeps 16 people. 19 miles. The Skilling in Bridport, Dorset, and sleeps 13 people. 14 miles. The School House in Countisbury, Devon, and sleeps 13 people. 43 miles. The Grange at Grange Estate in Simonsbath, Somerset, and sleeps 16 people. 39 miles.